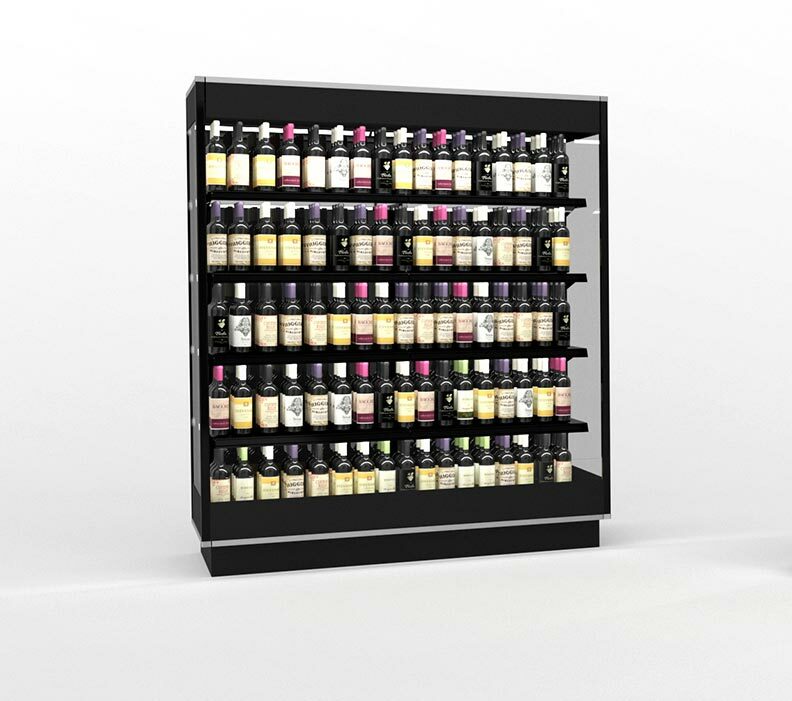 Designed for the slightly cooler temperatures required for beer and sodas, comes with a 5th shelf and optional under-shelf LED lights. 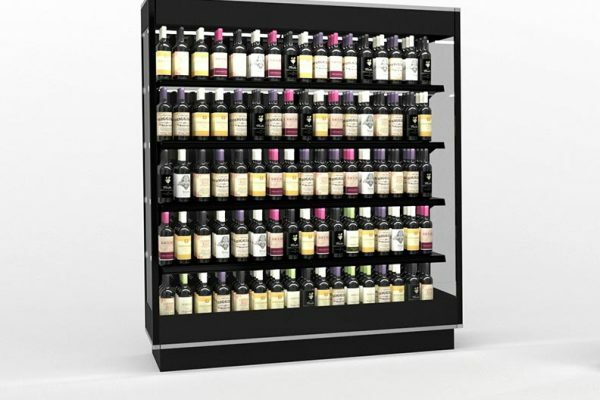 Available in remote or self-contained refrigeration. Shown here with optional glass ends, solid ends with mirrored stainless are standard.